You can add up to 2 Extra LED modules in your choice of color and Batteries and charger in the options above at a discounted price. Also makes for a great gun mounted light for those that don't need to identify past 170 yards in Red. Well not all I can say!!! Folks I've got to tell you about this little light. It is just awesome. 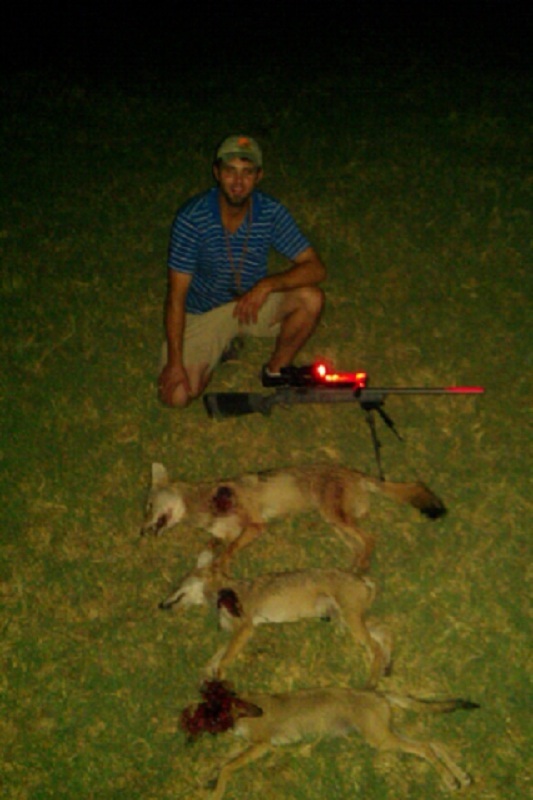 Nothing in the Predator hunting world out there like it. 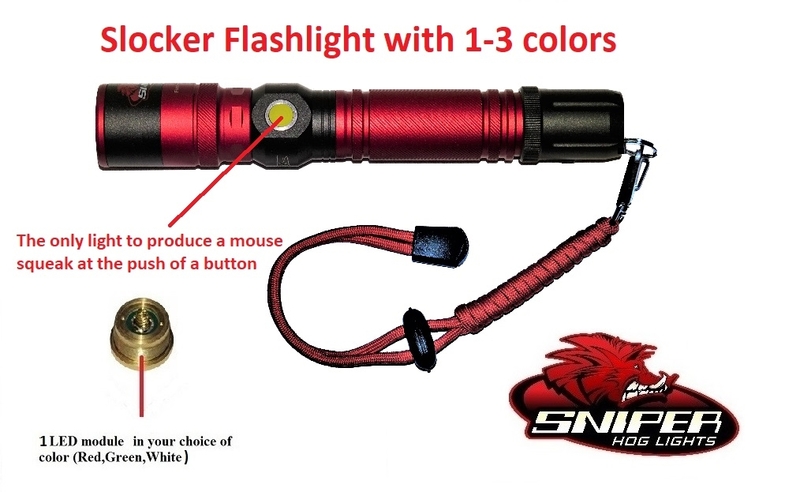 It has a built in sound module that has a coaxer sound built right into the light itself. I wanted to try this light out on my 22 Nosler the other night. I took the IR bulb out of my Sniper hog light 66 LRX and YES it uses the same LED pills. Talk about versatility WOW. Anyway I put it in the Slocker and man was I impressed. I could ID animals out past 300 yards and could make easy shots at that distance however with the sound module you can pull those predators in closer. This little light has really impressed me. If you dont have one GET ONE you will not be sorry.